No matter what John Corabi does musically he will forever be remembered as the man who replaced Vince Neil as singer for Motley Crue in 1992. He recorded one album with the band - Motley Crue - in 1994, with many fans and critics to this day hailing that album as the best of the band's career.To celebrate the 25th anniversary of that life-changing vocal stint, Corabi hits Australian shores next week playing the album in its entirety and hopefully putting past demons to rest.In an open, ... Maggiori informazioni honest, and at times emotional interview, Corabi lays it all on the table recalling the life, times, and tribulations of life in Motley Crue. "The only thing that I can say about it (the album) is I know it was - for a lot of the fans - they thought it was a great record", he mused, "and I also know for some fans... still to this day there are some fans that don't wanna listen to it or won't bother with it. It didn't have Vince on it so it's not a Motley record but that's the beauty about choice. It doesn't affect me. To each his own but at the end of the day I'm very proud of the record that I did with the guys. I had a good time doing it and to some degree - not solely because of the Motley thing - but I think being in Motley Crue helped me to... it helped the longevity of my career a little bit. 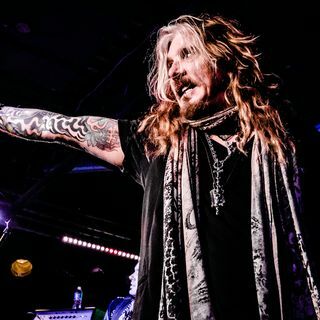 I'm always gonna be the 'other guy' but life is good".Although many long term fans knew in their Motley hearts that Vince Neil would one day return to the band, Corabi admits he was still a little blindsided when what some thought was inevitable actually transpired. "There was some talk that Vince was coming back but it was kind of brushed aside", he measured, "but I went to rehearsal one day and when I walked in and saw the managers and the lawyers I'm like oh-oh, this isn't gonna be good, and that's when they told me. A lot of people don't realise that I was in the band five years and they basically said hey man, thanks for all your efforts and everything, we love you but the record label just isn't gonna support this version of the band. I just said okay, cool, and out the door I went. It was sudden but it really wasn't because there was a lot of rumblings..."After already touring the Motley Crue album for its 20th anniversary, Corabi revealed that this coming Australian tour will see the completion of a 25-year journey that has produced some of the highlights and absolute low points of a sensational career. "I'm looking forward to getting down there and revisiting everything", he said, "and, to be honest with you, putting the Motley shows to bed. I think Adelaide is the last show on the trip so basically, those four shows are the last hurrah. This is the last time I'm gonna be doing these shows. When we're done it's time to move on".In the complete interview John talks about how hard it is for him to revisit that period of his life, the recording of the album and how he managed to focus on the task at hand despite media scrutiny and expectation, the sound of the album, his first jam with Motley Crue, what his time with the band has taught him personally, The Dirt movie and his involvement with it and more.